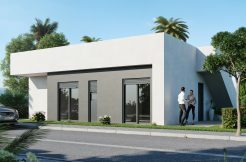 Spacious and bright quad house in a south-facing position with a built area under roof of 89 m2. 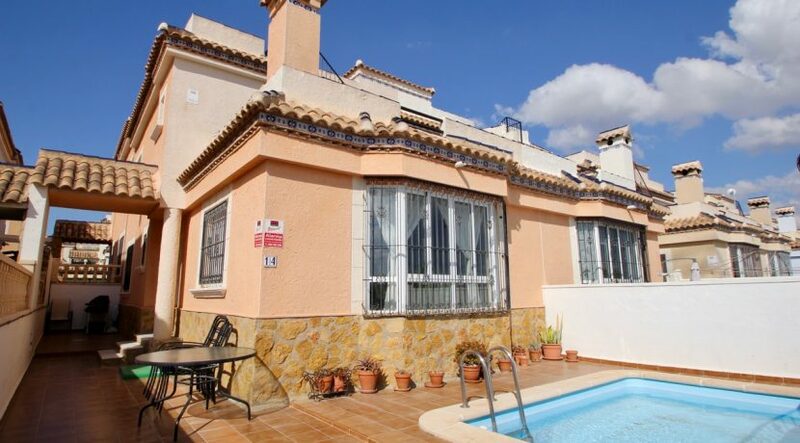 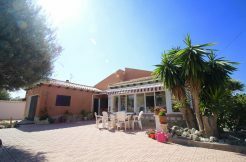 The property sits on a plot of 144 m2 which features a private pool and garden in a lovely and sunny position. 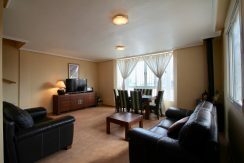 On ground floor is a large and bright living- and dining-area with a pellet burner for inexpensive heating, a separate kitchen with a laundry area, 1 bedroom and a shower room. 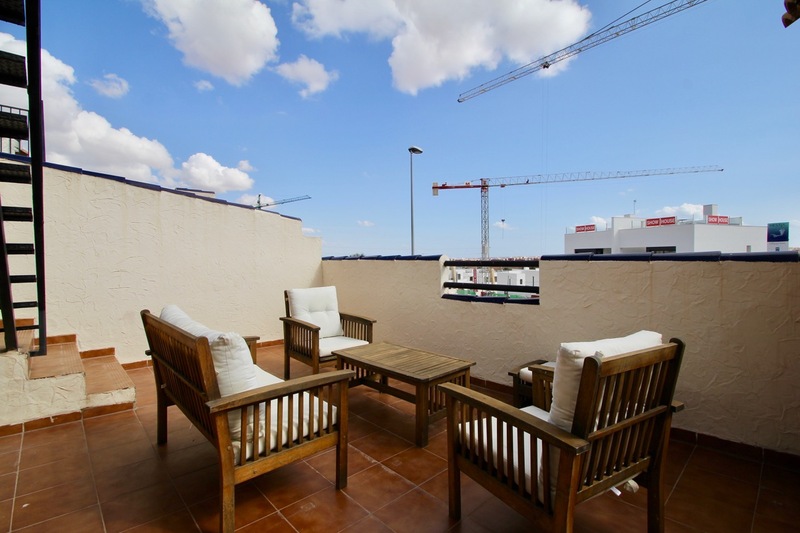 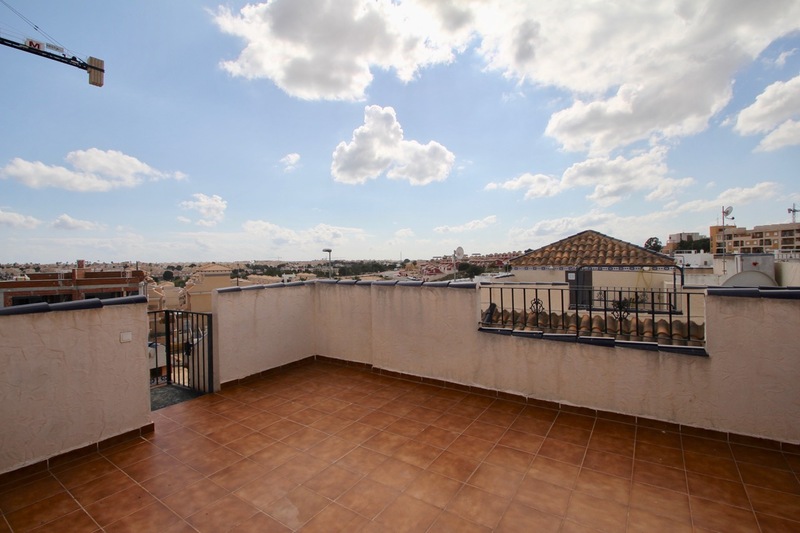 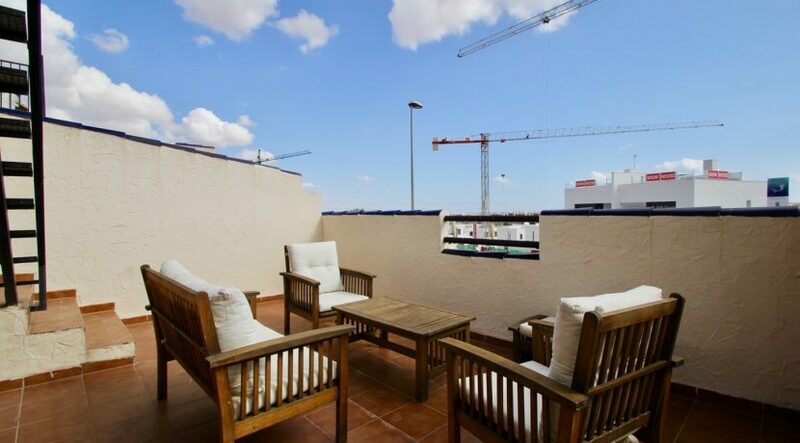 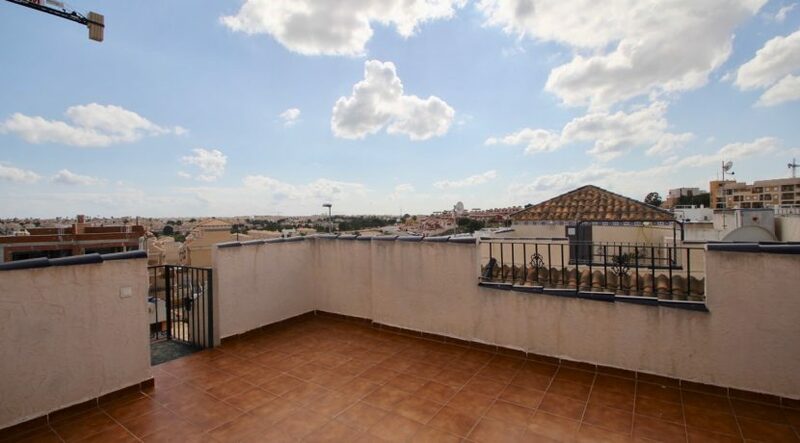 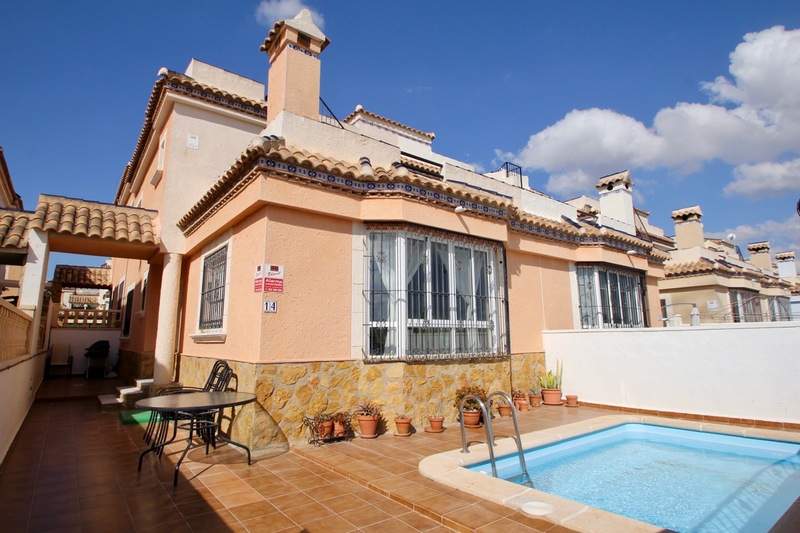 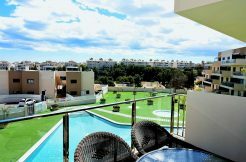 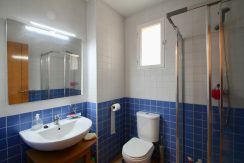 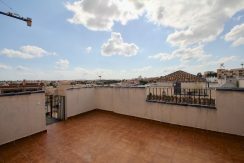 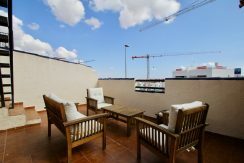 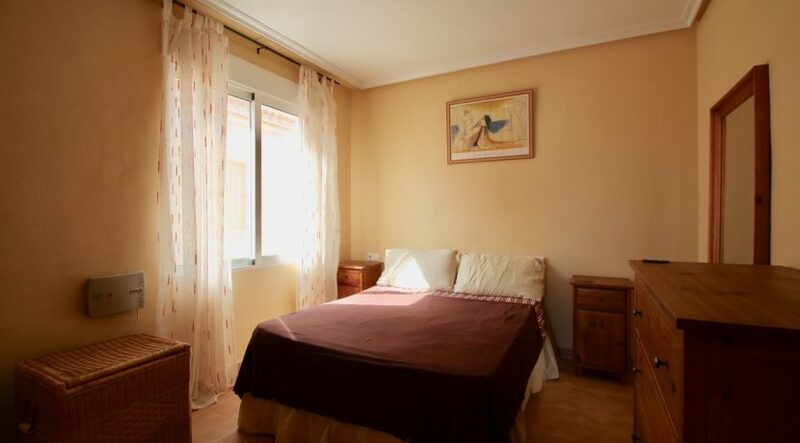 On first floor are 2 bedrooms and a family bathroom, and a large terrace with a staircase leading up to the roof terrace with great views over the surrounding areas. 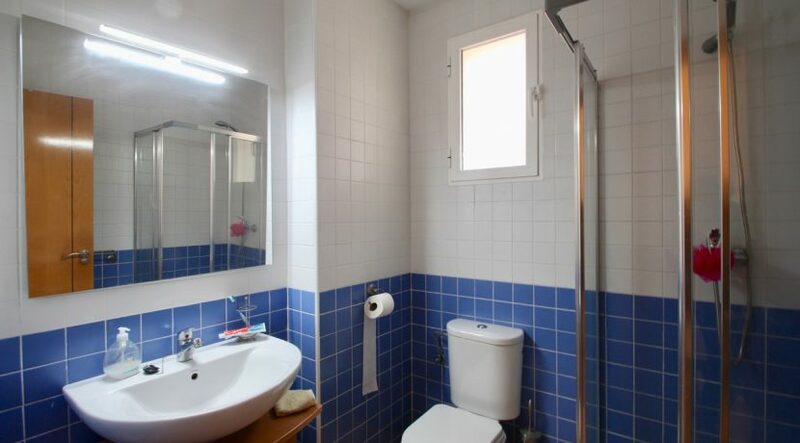 The property has off-road parking. 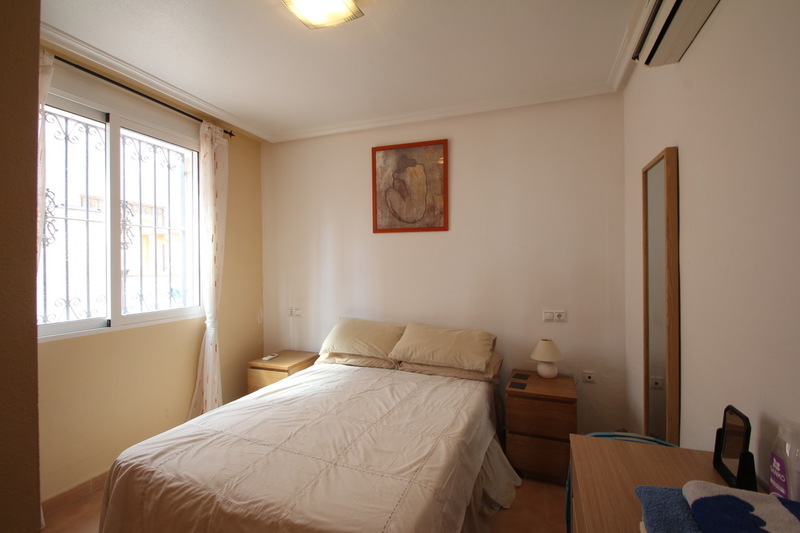 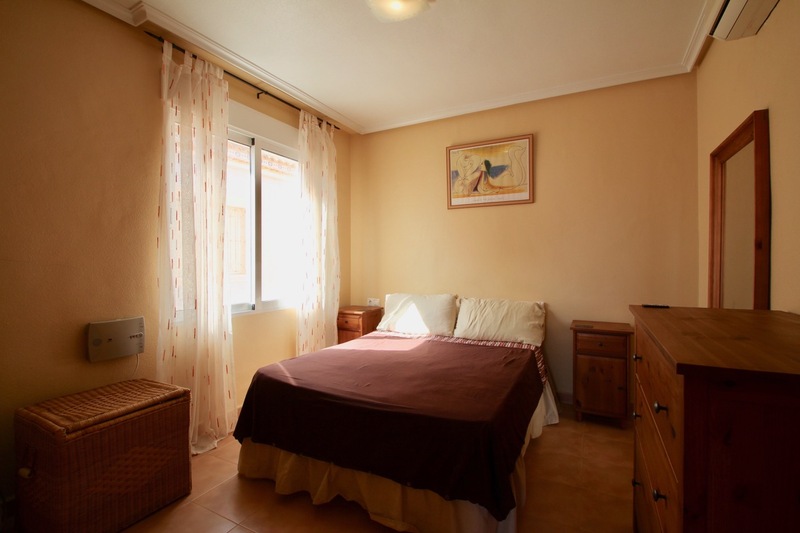 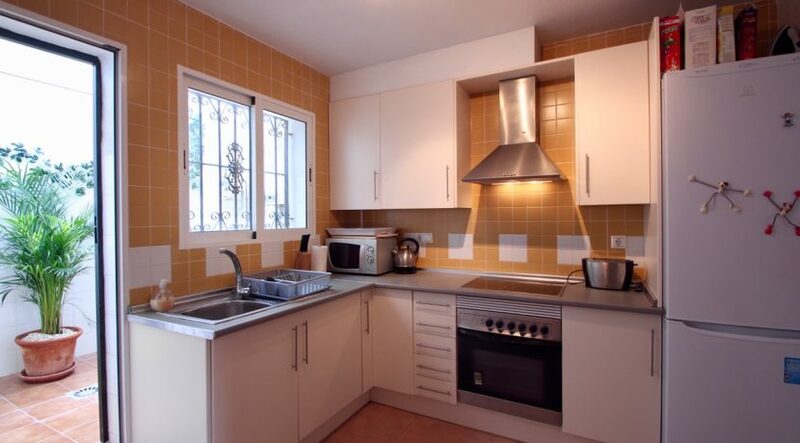 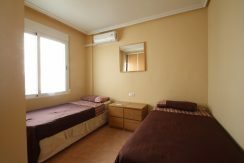 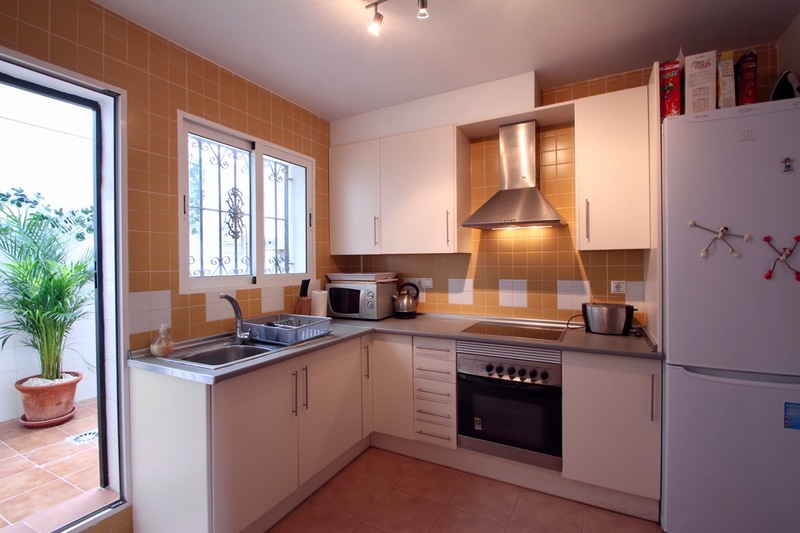 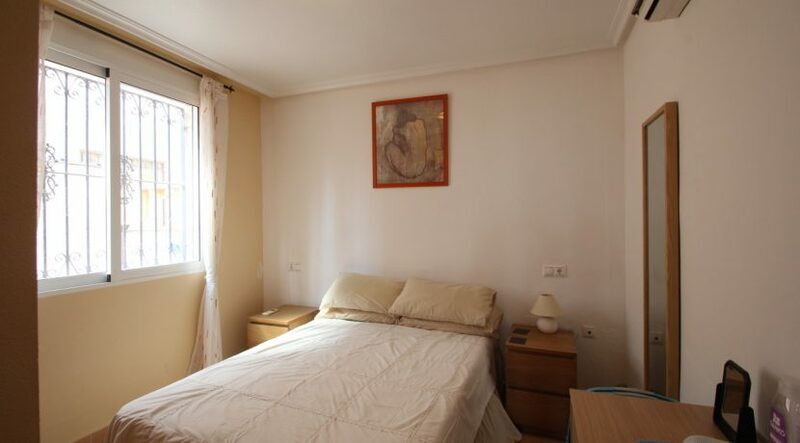 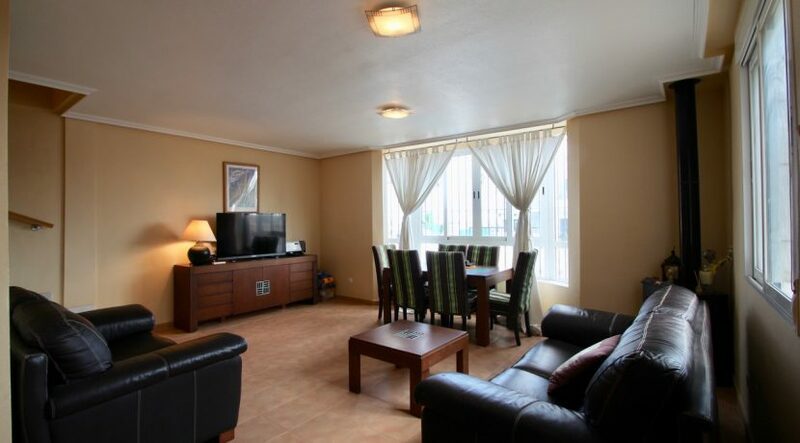 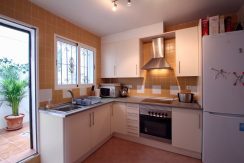 It is offered partly furnished and comes equipped with white goods, awnings, terrace furniture, as well as AC. 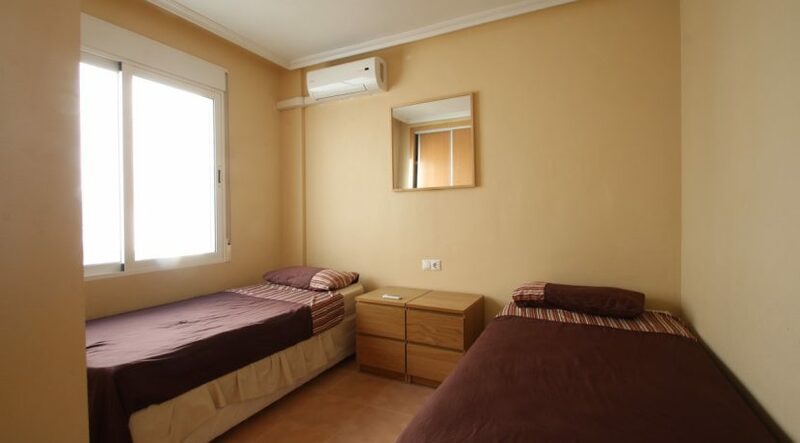 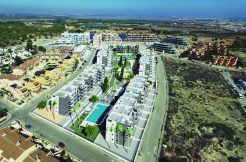 Within 500 m. is a supermarket and some further 300 m away is a commercial centre with bars and restaurants, 2,5 km to Villamartin Golf Course, 5 km to the white sandy beach of Rocio del Mar, 50 km to Murcia International Airport and 65 km to Alicante Airport.